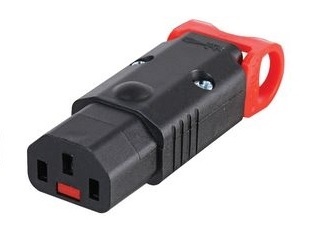 IEC lock IECl-PA130100BK rewireable IEC lock+ is a low smoke zero halogen appliance connector, and the original LSOH solution compatible with most cables. This patented retrofit solution now comes in a rewireable version as seen. 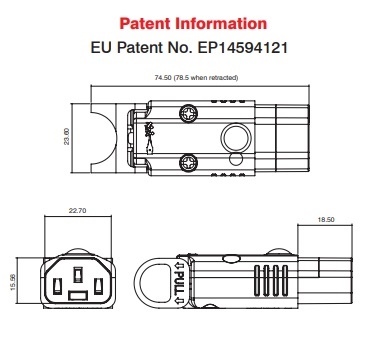 The rewireable model is the world’s first locking rewireable C13 IEC connector, which guards against accidental disconnection of computers, PDU’s, servers and most network devices, thus helping you to protect computer systems and other vital equipment.